Scientists have analyzed 13,000 twins from all over the world to try to find out why some children are better students than others. The results suggest there are similarities in different countries: genes are important but do not determine a child’s motivation to learn. Psychologists call the will to acquire new knowledge “academic motivation,” which many children often lack. Where does it come from? What role do genes and one's environment play in it? Researchers from Tomsk State University (TSU), along with their colleagues from the UK, the U.S., Japan, Germany and Canada are trying to answer these questions. To do so they have analyzed information on 13,000 school-aged twins from six different countries. Collaborators of the International Laboratory of Cognitive Studies and Psychogenesis at TSU have been studying the influence of genes and environment on emotion and motivation, which lie at the foundation of children's aptitude for learning. In February 2015 they published an article in the journal, “Personality and Individual Differences,” presenting some of their results. 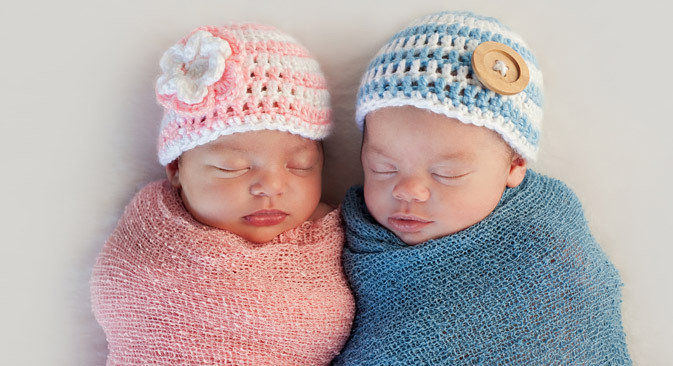 "Even identical twins, whose genetic codes match completely and who grow up in the same family and study in the same class can substantially differ in their aspirations to learning," said Yulia Kovas, director of the International Center for Human Development Studies in Tomsk. "Dizygotic twins, or those derived from two separate ova and that are genetically non-identical, are even more different in their motivation." These factors suggest that genes are important but do not determine motivation, while the influence of one's environment is mainly individual. In other words, according to scientists the same genes can manifest themselves differently in one given environment. Do our genes tell us to hate math? There are not that many twins in the world. Kovas says that they constitute about one percent of the population. Scientists are interested in those that live together in one family and study in the same schools. Due to them scientists can study phenomena such as "mathematical anxiety," also known as the lack of desire to learn mathematics. Mathematical language is understood everywhere, despite the different educational programs that exist throughout the world. This is why scientists began their research by studying children's mathematical abilities. Later the project was expanded and it now includes a variety of educational processes: interest, motivation and cultural particularities. Four years ago, with the TSU laboratory as its base, researchers created the Russian School Twins Register. Like other studies carried out in Russia, it is part of a large international network called INRICHD (International Network for Research in Child Health and Development). The necessity for studying children's early development in various cultures and contexts inspires the researchers to expand their cooperation. For example, the Russian Register actively collaborates with the analogous TEDS project (Twins Early Development Study) in the UK. Can underperforming kids bring the economy down? Some may ask why it is important to study children's motivation and academic progress all over the world and compare the results among various countries. Kovas has an answer. "According to our data, the reduction of children's scholastic abilities, such as in mathematics, can lead to their country's economic decline," explains Kovas. "That is why it is so important to understand the mechanisms of children's motivation. Moreover, if our study can even slightly help children reach their objectives, then radical positive changes in our society might occur." In 2015 the TSU International Center for Human Development Studies have begun another project. Now they will follow the development of children from the moment of their conception until school age. This is a unique project for Russia, as practically no large-scale study exists there in the field of children's psychology that take various factors into consideration. "We study all the different factors that influence a child's personality, including biological, social, perinatal and postnatal," says Kovas. "Science proved a long time ago that early processes are very important for further development." In the first stage of the study 600 Tomsk families expecting a child will participate. In half of the families conception occurred as a result of artificial insemination. Later the scientists are planning to expand the selection to several thousand families from various regions in Russia.